Endodontics comes from the Greek words “Endo” meaning inside and “odons” meaning tooth and is the kind of dentistry that keeps the tissue and nerves that are inside your teeth healthy. When left untreated, dental decay can spread to the tissue and nerves inside your tooth, causing you a lot of pain. When that happens you may require a root canal to save the tooth. A root canal will remove the damaged tissue and fill the space with a composite resin, avoiding extraction and allowing you to keep your natural tooth. Although root canals have a terrifying reputation, we understand the need to relieve you of the pain and discomfort you are in, without causing you any more pain in the process. Our highly skilled team of dental professionals will take good care of you during this virtually painless procedure. 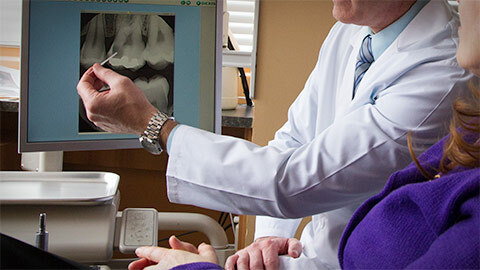 If you need more information about Endodontics in Cape Coral, contact us today.